H-D unveiled the concepts during the X Games in Aspen, Co., after announcing orders can now be made for its new halo electric motorcycle, the LiveWire. The two electric concepts — one of which is a cross between a dirt bike and mountain bike — are geared towards urban mobility and meant to attract more people to the two-wheeled experience. Users will not require a motorcycle license to ride them, and their “twist and go operation” will make it easier for riders to learn how to use them. Riders will not have to deal with a clutch or shifting, which can be difficult for beginner motorcyclists. The concept bikes (which are not yet available for sale) are lightweight, agile, and easily maneuverable. They will also make off-roading experiences a possibility. “Combined with electric powertrains that provide instant acceleration, the goal is to offer a thrilling riding experience that adds emotive moments to your daily life,” according to a news release from H-D. The battery will be small and removable, enabling users to carry it home or to an office for charging. The charging dock will plug easily into a standard power outlet. X Games gold medalist and motocross star Jackson Strong tested one of the concept bikes. H-D had design in mind when creating the concepts, acknowledging that personal expression and individualized style is important to Harley-Davidson riders across the world. 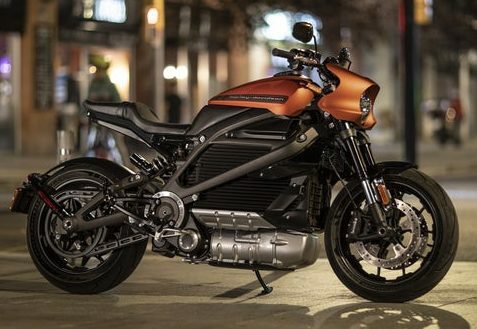 The brand’s new electric portfolio will contain a variety of models and price points from a few thousand dollars to the LiveWire, which retails at US$29,799. It’s unclear what the concept bikes will cost and how long their batteries will last, something many consider when thinking about purchasing such a vehicle.